Quick tip: group according to use! Condos are usually equipped with a small kitchen just enough for you to function everyday. 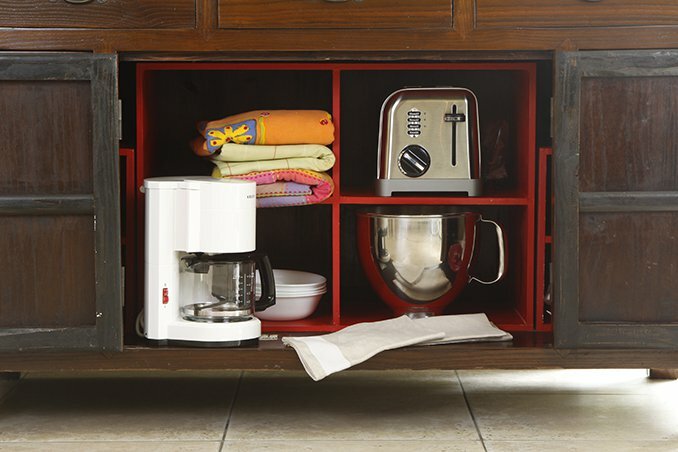 Here, we give you practical tips on how you can maximize the use of your tiny space, so you never have to worry about finding your toaster/mixing bowls/coffee beans ever again! 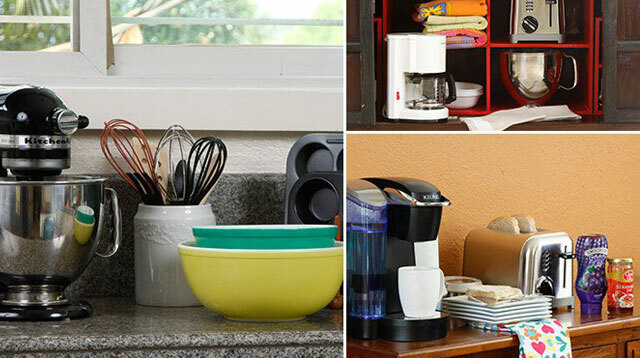 Group the kitchen appliances you use for breakfast! Dedicate an area of your kitchen as the breakfast nook, and put all your essentials there. 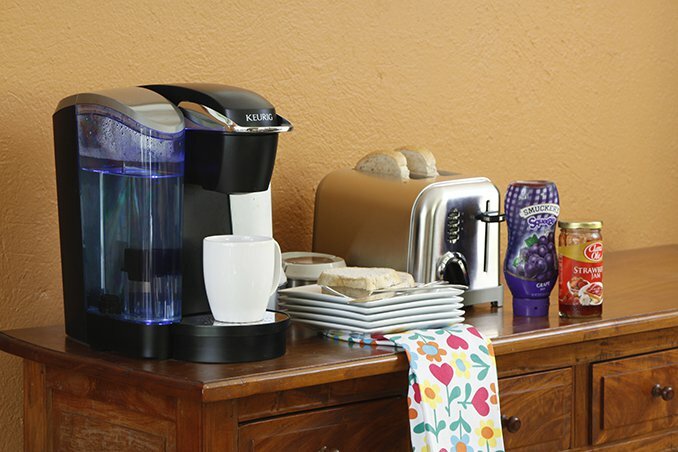 These include the coffee maker, mugs, small plates, and toaster. Use a pretty shelf or armoire. 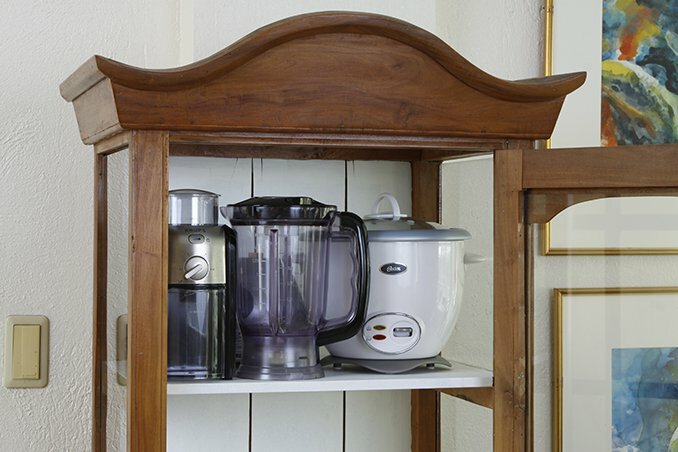 Assign a lovely see-through cabinet for your nicer, newer kitchen appliances. This is also a good way to help you find specific appliances faster. If you lack space in your kitchen, hide all your bulky appliances in a cabinet in another room or in the enclosed storage under a table. Keeping them together is the key to organization and order. Stash adapters, extension cords, and transformers with them, too. You can ask a carpenter to build simple shelves made to fit the size of each item. Group items according to use. If you have no choice but to keep your appliances on the kitchen counter, group them according to use: baking, food prep, and serving. Daily-use items like your toaster and microwave oven should be kept together. Keep them close to where you will actually use them and ideally where there are electric sockets. 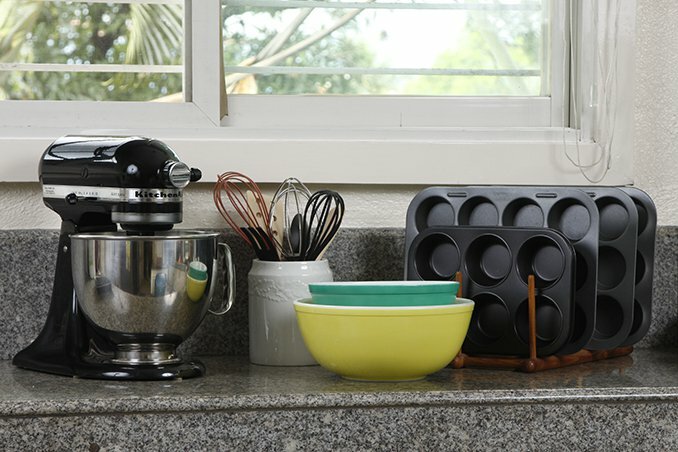 For more tips on how to make the most of your kitchen space, check out RealLiving.com.ph!